TWSF doesn’t really keep up with current events, so we were suppressed to learn that the global economy is not doing so well. We thought that Greece going bankrupt meant that people were changing their eating habits to a more healthy diet, thus putting poor deep-fryer grease suppliers out of business. Boy did we have egg on our face. TWSF decided that it was time to tighten our belts and stop spending up to $8 a day on convenient retail lunches. So we decided to produce a series of posts that will feature a dish that can be made ahead of time and used as lunch for an entire week. In honor of Greece’s pending demise we present a regional dish, orzo salad. (We know orzo originated in Italy, but who knows, they might be next). This was originally a Giada recipe, but we changed it so much we are calling it our own. 6. Once the orzo is done, strain then put in a large bowl to cool completely. 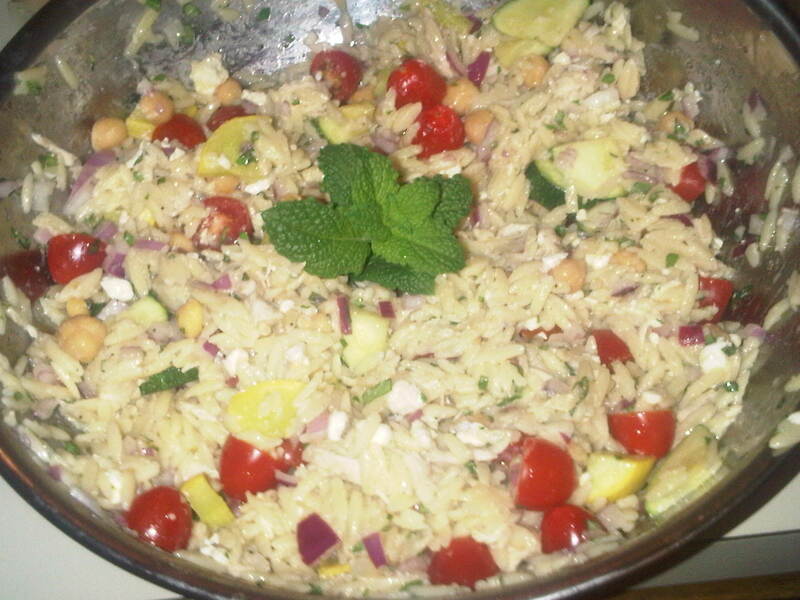 There you have it, TWSF’s Orzo Salad is truly a great recipe. . . for savings. Your belt will be tightening in no time (well maybe not, orzo has a lot of carbs). The best part of bring your own lunch is that you can use the time you would have spent walking to Quiznos, standing in line and walking back to be more productive at work!